1. 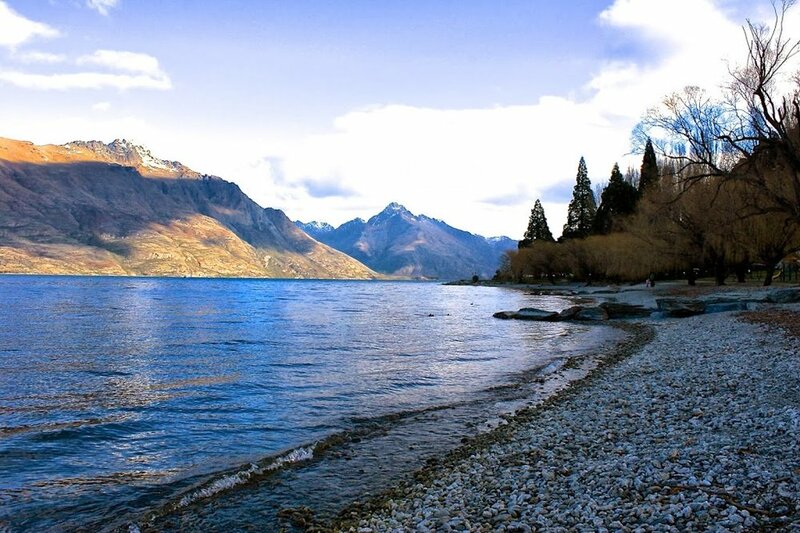 Queenstown, 2. Tekapo, 3. Lindis Pass, 4 - 6. Milford Sound, 7 - 9. Blue Pools track, 10. Haast, 11 - 12. Franz Josef Glacier, 13. Lake Matheson, 14. Lake Tekapo. Because we are total geeks IRL, Chris & I went on a road trip of the South Island, aka the Great Lakes tour, and I kept IMDB open to make sure we weren't missing any prime LOTR/Wolverine film locations. Tekapo - During the day, the surrounding snow-capped mountains are mirrored in the crystal blue glacier-fed lake. At night, the quiet and lack of light pollution allows you to see the stars at their finest. A visit to the Earth & Sky observatory is a must, and if you're keen - a four-hour hike up Mt. John for breathtaking views. On the way down, stop by the hot springs! Queenstown - While we are typically not thrill-seeking individuals, we tried to do at least one adventure-y thing. That was the Shotover Jet. Surprisingly I did not throw up, but I was pretty out of it for the rest of the day. We also did a bus tour to Milford Sound and it was craaaaaazy. In the best way. Even on a rainy, foggy day, Milford was incredible. We also passed the field where they filmed the main battle scenes in Return of the King, and I pretended to be an orc commanding my warg/husband. Wanaka - Not surprisingly we visited Puzzleworks and spent a good couple of hours attempting to navigate the maze, only to be shown up by pesky kids. It was also a good chance to stop for an outfit post. Fox & Franz Josef Glaciers - climbing a glacier is an experience I'll not soon forget. After a brief helicopter ride to the base of the glacier, we hiked with crampons for about 4 hours. As the glacier itself moves one metre a day, it's sad to think that one day it won't be there anymore. When that was over we dared to do a two-hour horse trek...my horse was really not interested in anything but Chris' horse's b-hole. All in all, a successful trip. One day we'll do it all again, but seeing it for the first time will forever be our finest NZ experience to date.